AustinBloggyLimits - An Austin Music Blog: John Talabot in Austin Tonight! John Talabot in Austin Tonight! 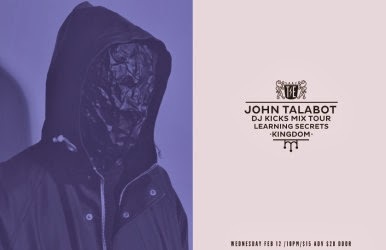 Spain's own John Talabot will be in Austin tonight. You can find him at Kingdom nightclub, located in the alley behind the Frost Tower. He is in Austin as part of his DJ Kicks tour. Word on the street is Mr. Talabot will be doing a three hour DJ set in Austin's best late-night lounge. Even though the show is tonight and the venue is small there are still $20 tickets available. This show doesn't have the buzz that I anticipated it would but I also feel like electronic acts don't get as much respect as they deserve here in Austin. Sure tonight's set is "just a DJ set" but John Talabot is one of the best working producers/DJs in the world right now so if you can stay out late on a Wednesday, you should. As if John Talabot weren't enough, Austin's-own Learning Secrets will be keeping the party going at Kingdom this evening. 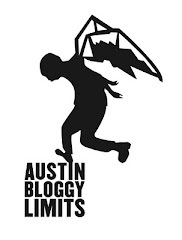 Learning Secrets have been nominated in the Best DJ Category at the Austin Music Blogger Awards as well. The awards event will take place on February 27th and will feature performances from some of my favorite bands and DJs. If you plan on attending the AMBAs, and I hope that you do, you should join the event page so your friends know you're going. It's also a good idea that you get tickets in advance because I wouldn't want you to miss out on the opportunity to buy me a drink.